VIENNA (Sputnik) - Russia is not seeking to divide the EU member states, on the contrary, Moscow is interested in the bloc being united and prosperous, Russian President Vladimir Putin told the Austrian ORF broadcaster. 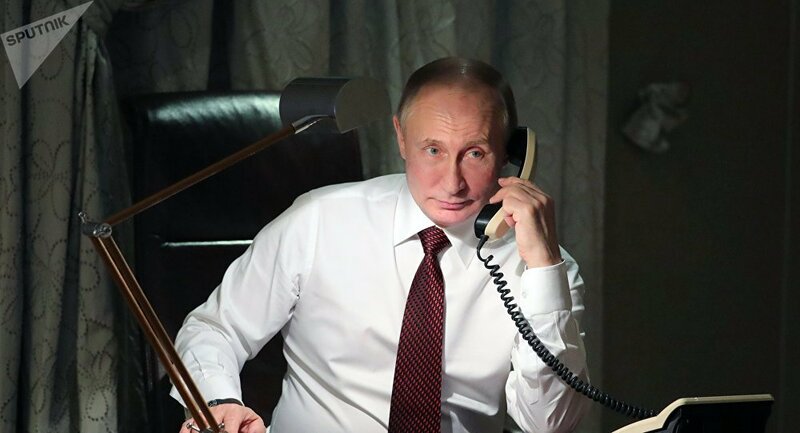 "We do not have a goal to divide something or somebody inside the European Union, on the contrary, we are interested in the united and prosperous European Union, because it is our most important trade and economic partner," Putin told ORF, which released a fragment of the interview in its news program on Monday. The Russian president is set to visit Vienna on Tuesday. It is also important in the course of European agenda, as on July 1, Austria takes over the Presidency of the Council of the European Union. Previously Austrian Vice-Chancellor Heinz-Christian Strache has called on the European Union to lift anti-Russian sanctions amid the deteriorating relations with the US, after the imposing of new tariffs on aluminum and steel imports from the EU.